We have a serious problem with not owning our power. We act from a place of kindness towards everybody else but we disregard the most important person in the room. Why is this? After speaking to audiences in Miami, San Diego, Austin, and Dubai I have realized one thing. We don’t HONOR our POWER. We disregard OUR love tank and wonder why our business isn’t thriving? We criticize ourselves and wonder why we are not experiencing forward momentum. Do you strengthen your self-esteem on a daily basis? Do you practice positive self-talk? 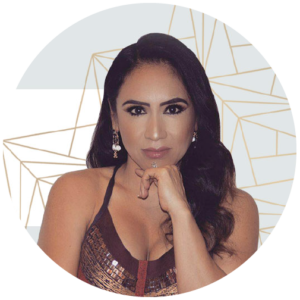 As a woman entrepreneur, your self-image is extremely important because it’s tied to your personal life and your business. Think about it? What do you wish for your clients to see? An authentic woman who exudes self-confidence. Or a woman who is struggling because she stopped caring for herself? Your risk for depression, anxiety, and other heart related problems increases. So what am I saying? Please PAY ATTENTION to how you take care of yourself. It’s pretty disheartening that we give it away for free but when it really matters we DENY ourselves the very thing we are looking for. Are you confident in what you share, what you offer, and ultimately how you carry yourself? If not, something has to change if you wish to stay in business, and stay engaged with life. It’s a PREREQUISITE for women who want to step outside their comfort zone. You practice daily habits and rituals that strengthen your character. To begin with, you have to understand who you are and what you want out of life. Allow me to be direct, NOT practicing self-love can have dire consequences. For example, what will you do when someone critiques you or is not happy with your product or service? Will you take it as a direct hit and second guess yourself? Or will you develop thick skin and know your self-worth? Strengthen your self-esteem by changing your self-talk. Remember, your communication with yourself has to change. This is the most powerful source of self-love that can be initiated immediately. Growing up, I used to be so hard on myself. I would DEMAND so much of myself that one day I realized I was being a bully with myself. This phrase alone has utterly changed and strengthened my mindset over the years. It has strengthened my self-talk and I use that phrase on a daily basis to get me motivated, focused, and engaged. Who are you allowing to influence your way of life? I use my mother’s voice whenever I need to internally improve my self-image. Your self-talk is the most self-empowering gift you can give yourself. Talk to yourself the same way you would talk to the person you admire the most. Find your loving voice. The most effective way to destroy your image is to constantly compare yourself. Comparing yourself with others will undoubtedly lower your self-esteem. Respect your journey, and don’t compare it with someone else’s journey. Do you feel uncomfortable with what you wear? Do you feel inferior and are you constantly comparing your life and business? This feeling stems from a lack of self-love. Just so you know, comparing ourselves is natural, and it’s what drives us to succeed in life and business. However, be cautious because if you don’t it could cause paralysis analysis. And once this becomes a habit, it could potentially create an inferiority complex. Be cognizant of when you are comparing yourself to other people because it will zap your joy and only bring you misery. Or even better, ask them to coach or mentor you. Be grateful you have them as a role model and learn from them as much as you can. Moreover, don’t judge a book by it’s cover because you never know the challenges other people face. On the outside, they may seem naturally beautiful, and confident but on the inside they might be in so much pain. Comparing yourself to others can breed jealousy and this only hurts you. When you feel jealous, you feel threatened by other people and this impacts your self-esteem. And when your self-esteem is influenced it will create self-doubt and limiting beliefs because you are comparing your junior varsity attempt with someone’s varsity level. They might be ahead of you and know that it’s ok.
How is your appearance and confidence affected when you wear the wrong clothes? Do you know what to wear to make a favorable impression? Do you think your image will improve if you wear the right clothes? When you wear the right clothes you will instantly feel more confident. Your appearance is extremely important because it’s what people see and paying attention to your grooming standards shows the world that you RESPECT yourself, and depending on the situation or event, you respect others as well. Taking risks with your clothes will make you feel brave. I’m not saying to be improper, what I’m saying is to show the world your personality through the clothes you wear. As a woman entrepreneur, if you want people to take you seriously then you have to set a precedence. All I’m saying is do not become too relaxed about the condition of your clothes or personal hygiene. What you wear, how you look, and how you present yourself absolutely matters. It matters to your family and your business, but most importantly it matters to YOU because it’s tied to your self-esteem. And your self-esteem is essential because it’s your self-respect and you have FAITH in yourself because you know you can accomplish anything in life. Self-esteem is tied to your confidence so it’s important that you take pride and pleasure in your work and appearance. Let’s break this down for a minute so you understand what I’m talking about. When you are feeling unconfident you’re more likely to predict unfavorable outcomes. This fixed way of thinking will contribute to anxiety and possibly make you fearful. And FEAR is false, evidence, appearing, real and it makes you avoid, or put off changes. And that’s why an essential component when building an extraordinary life and business is MENTAL TOUGHNESS. It will help you stand upright and hold your head up high. What you wear on a daily basis, and how you carry yourself can help you project an aura of confidence. For now, start with your body language. Hold your head up high, roll those shoulders back, and always make eye contact. When you set high standards, everything is elevated. You take your life and business very seriously and you raise your standards in the smallest details. Your standards is your mindset and what you VALUE important in life. It’s self-disciplining the choices you make every single day. Allow me to give it to you straight. Someone with low standards gives into temptation. They are emotionally immature and seek momentary pleasure in cheap people, circumstances and situations. Their destructive thought patterns lead them to self-sabotage and depression. They don’t have high expectations for themselves and tend to be reactive not proactive. What am I saying? Don’t lower your standards, you must ELEVATE them. Start working towards achievable goals that will give you momentum. Trust me on this one, as you raise your standards the people with low standards will slowly disappear from your life. And this is a good thing because high standards leads to better relationships. Cultivate high standards by not letting anyone disrespect you. Learning to say, “NO” and believing in yourself will help you view your weaknesses and flaws as a part of being human. Shifting your self-worth and living with high standards will naturally attract more positive people in your life. That’s why I’m here! You’ve attracted me in your life because you leaned into wanting something more. Think about it? 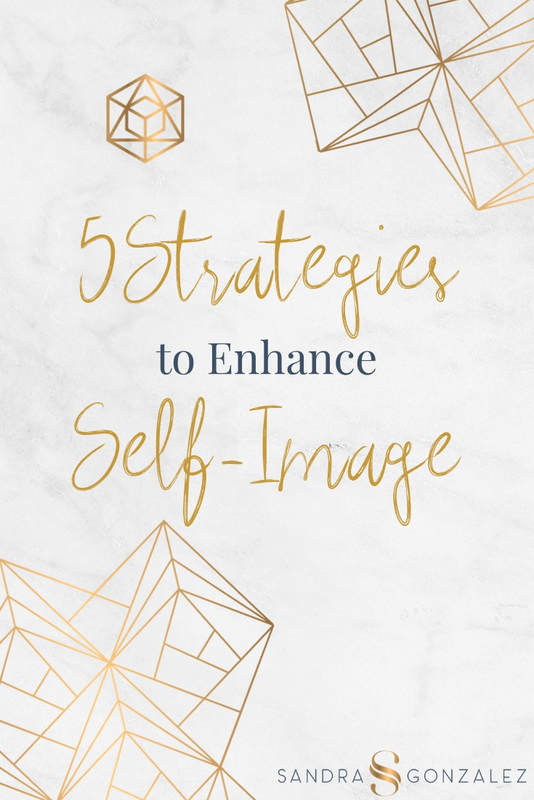 You were curious about this blog and have read 5 Strategies to Enhance Self-Image. That says a lot about you. It says you are hungry for something more. My recommendation is that you cultivate high standards, sharpen your mind and confidence every single day. Just give it your best shot! Your VIBE creates your TRIBE, so it’s important that you change your energy and learn to change the relationship with yourself. Surround yourself with people that genuinely love you and matter. Embrace relationships that inspire you to become your absolute best. Moreover, learn to forgive yourself and others, and don’t hold resentment. Stop drinking that black cool-aid because it will only hurt you. Negative people will influence your thought patterns and hold you back. They will bring you down to their level and drain you in the process. Move forward from this toxic waste and recognize you are different. You have control over yourself so move on. When you know you deserve better, you attract better people. You are responsible for only allowing positive people into your circle. Need more help? Start by reaching out and letting me know exactly what you may be struggling with or is hindering your self-image. 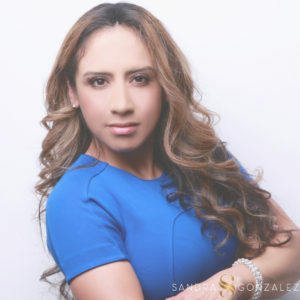 Schedule that free consultation, and take positive steps in enhancing your image. What will you do today to improve your self-image? Share below.